Helping the unfortunate can be a huge, hairy topic. 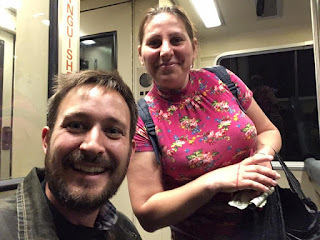 Recently, someone shared his learnings from an encounter with a woman he met in a train station on Facebook. 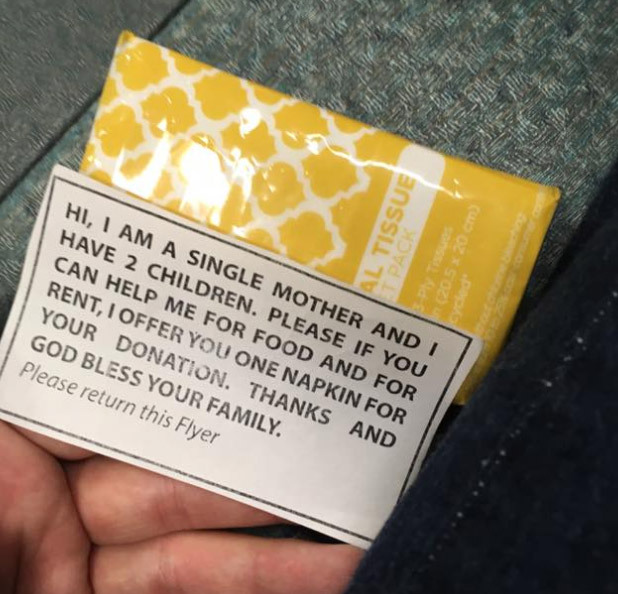 She was handing out packs of tissues with a flyer in exchange for donations. If you didn't feel like donating, you could give it back to her. Living in San Francisco, he’s seen lots of people ask for money and he admittedly “(shamefully) rarely ever” gives. This time though, he gave her a donation because the tissues were something he needed. He was reminded of the importance of providing value before asking for something. “Necessity is the mother of innovation, a lesson I learned today from a mom,” he shared. Not sure why you feel the need to brag about giving a woman $3... It doesn't make you a miraculous creature to donate to money to those in need. I don't need to expand on this". 1. The central message was about giving something of value before receiving. 2. A good deed is a good deed. Period. If a child donated $3 from his own pocket to the woman, he would’ve been applauded. Facebook posts would have gone viral. People would’ve reacted with heart or pride emojis. That doesn't make an adult donating $3 any different. We do what we can to help others. There’s always something to learn from others. Big or small, these lessons neither deserve to be belittled nor go unheard. Plus, this exchange happened both ways.